Note this production contained strobe lighting. 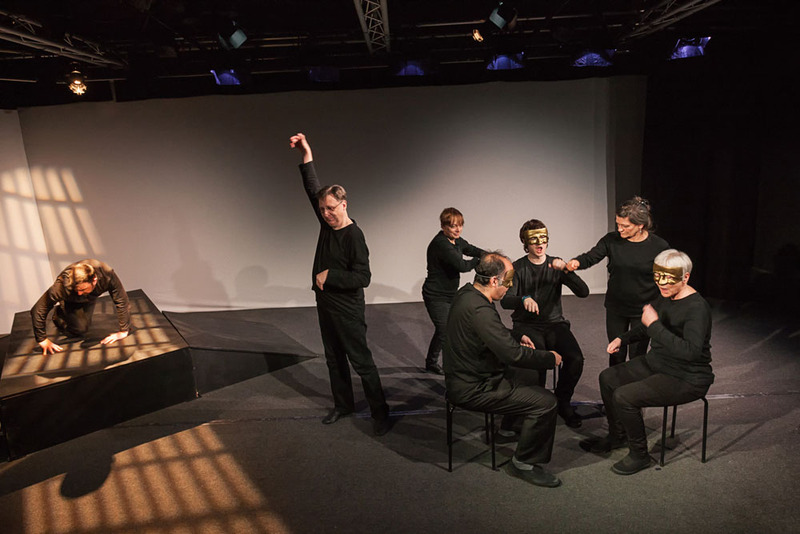 Steven Berkoff adapted Kafka's story, Metamorphosis for the stage in 1969. 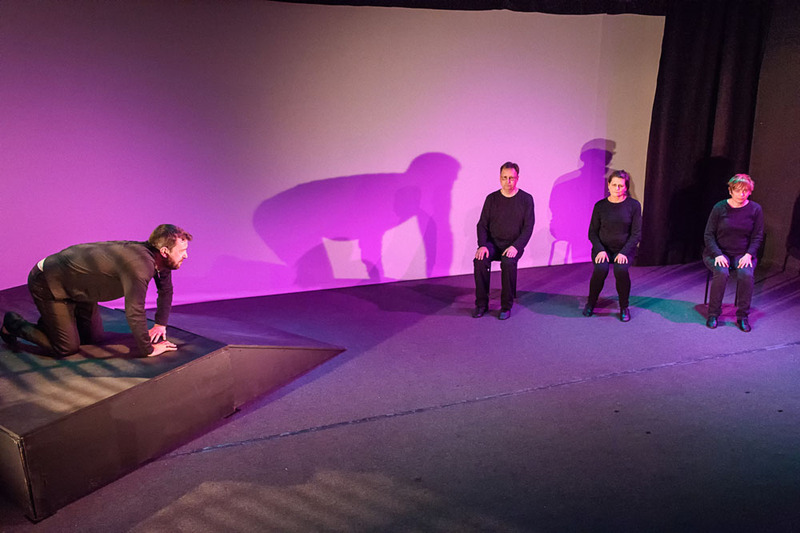 Berkoff understands the essence and power of the story, how Gregor Samsa is transformed into a beetle, and the many metamorphoses that take place within a family. 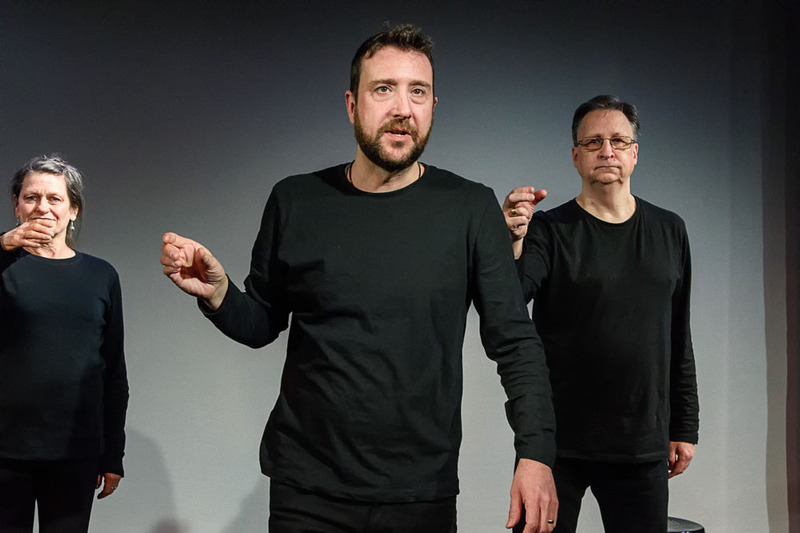 Using a stark stage setting and no props, the actors use mime, and physical theatre to aid the telling of the dehumanisation of Gregor and the effects upon the family. Kafka and the Maskers Studio are a match made in heaven, or should that be hell? Both are stark, uncompromising, engaging and totally in your face. The message is inches away and there is no escape. This has no reference of course to the warm, friendly, informal atmosphere of the venue itself. Everyone is charming but they are also a totally dedicated bunch. Director Gail Blues’s commitment is clear from her programme notes: ‘The power of the words, and how they describe so accurately the frailty of the human condition, leave such a mark that I felt, due to its intimate atmosphere, Maskers Studio Theatre was the right place for Metamorphosis to be performed.’ How right she is and how ably she is supported by the whole company, front of house and back. As you enter the studio, immediately you notice seven of the cast already assembled on the tiny acting space. Four identically black-clad characters sit immobile on stools, two stand behind them, one bowler-hatted, but to the left of the space on a slightly raised platform lies another figure, face downwards, half-crouched. For several minutes, five or more, they remain staring straight ahead as the audience assembles. The atmosphere is already tense and exciting and the choreography as the actors start to move mechanically absolutely brilliant in its precision. This high standard of mime is maintained throughout the production, surely thanks to a scrupulous director who knows just what she wants. 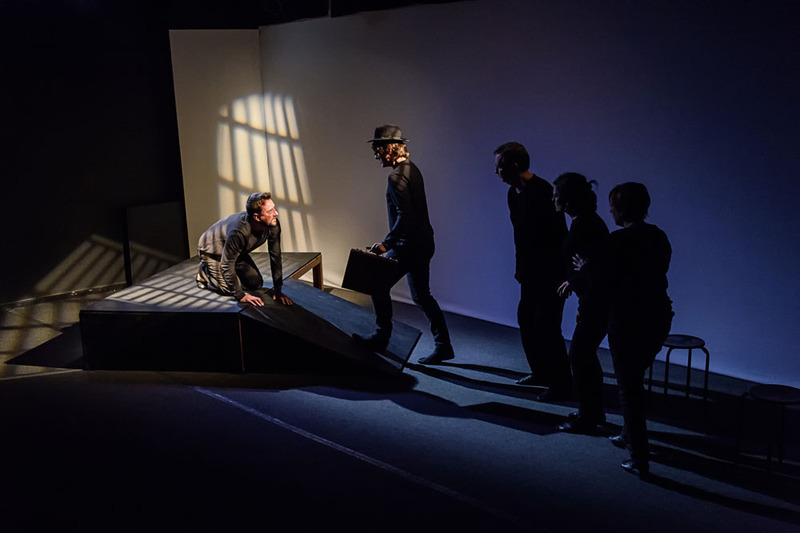 The prone figure is Gregor Samsa, played by Jonathan Barney-Marmont, whose convolutions as he is metamorphosed from human to dung beetle are heartbreakingly and imaginatively executed. It’s not that easy to mime walking upside down on a ceiling on six legs! But there is more to his performance than agility. You engage completely with his initial dismay, then horror and final despair as he is rejected and despised by his family. This really is one hell of a role but he masters it so convincingly. Of course, you know his metamorphosis is a metaphor in itself but you have to have sympathy with him firstly on a realistic level for the whole concept to begin to work. Gregor’s sister, Greta, is played superbly by Jo Iacovou and she initially comes across as the more sympathetic member of the family. She appreciates what Gregor has done for them and it is she who goes into his room to feed and clean. Her devotion is girlish and touching. All the more horrific, then, her eventual disgust for her brother. Her final facial expression of abhorrenc e for him is just chilling. Mother (Sue Dashper) and Father (Paul Green) are strong, too. There is something repellent about the way they support each other to begin with but as their breadwinner, Gregor, retreats from their lives, they turn on each other. Kafka’s own miserable relationship with his father clearly feeds this paternal portrayal. As this tale of alienation unwinds, the dependency, the victimisation and ultimately physical abuse are dreadfully painful to witness. 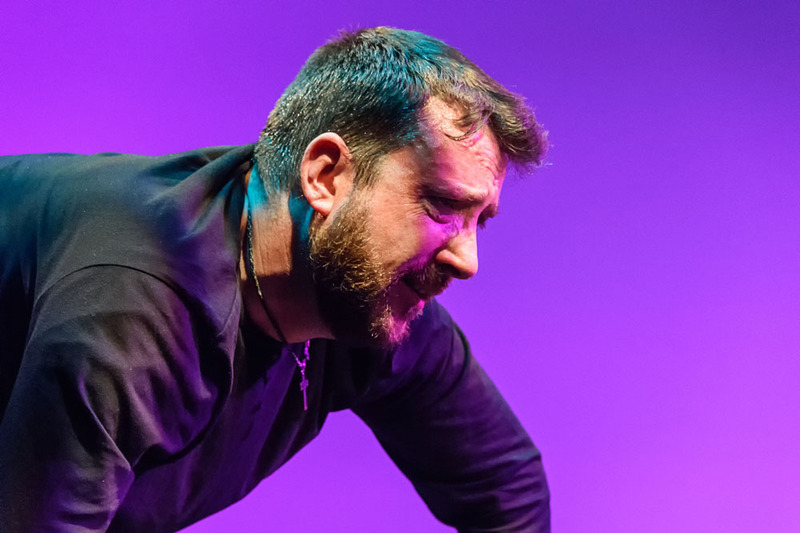 When Mr Samsa beats his son back in to his room, it is an extremely powerful piece of theatre and deeply shocking. It is the advent of three lodgers who finally seal Gregor’s fate. 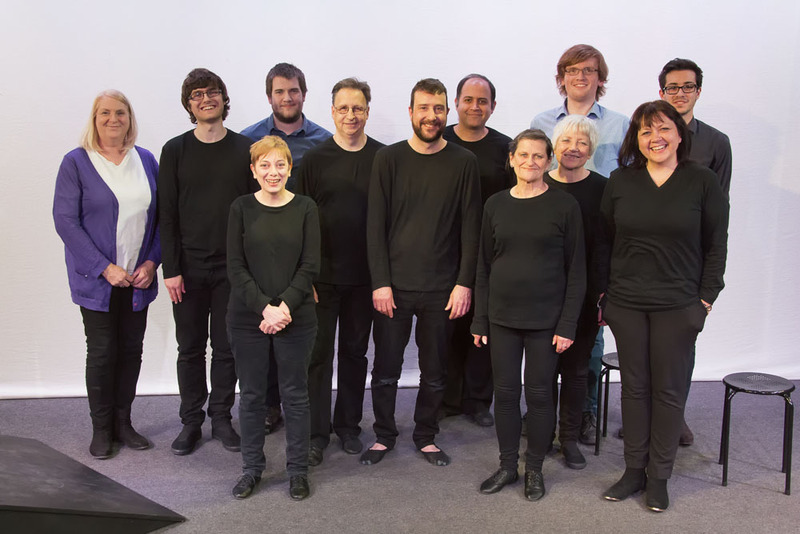 Played by Rob Osborne, earlier the Chief Clerk, Jill Desborough and Kieren Tari, all three demonstrate admirably the precise, ritualistic movements which form a leitmotif of this production and in themselves emphasise the sterility of our human interactions. All in all this is a brilliant production of a literally fantastic conception. Off Shirley High Street, close by the halal shop and up some narrow stairs, another world awaits. 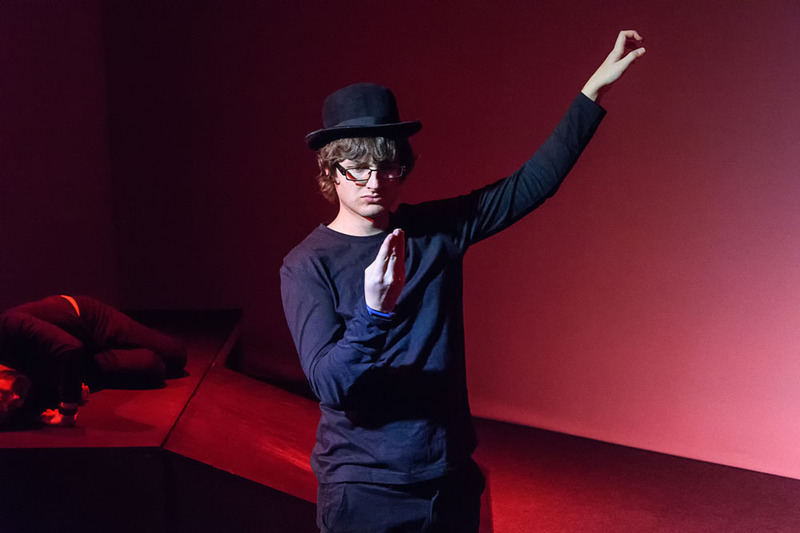 Gail Blues' directorial debut for Maskers is a riveting, enthralling version of Steven Berkoff's dramatisation of Kafka's shocking story of a hard working young man who wakes up to discover he has turned into a dung beetle. 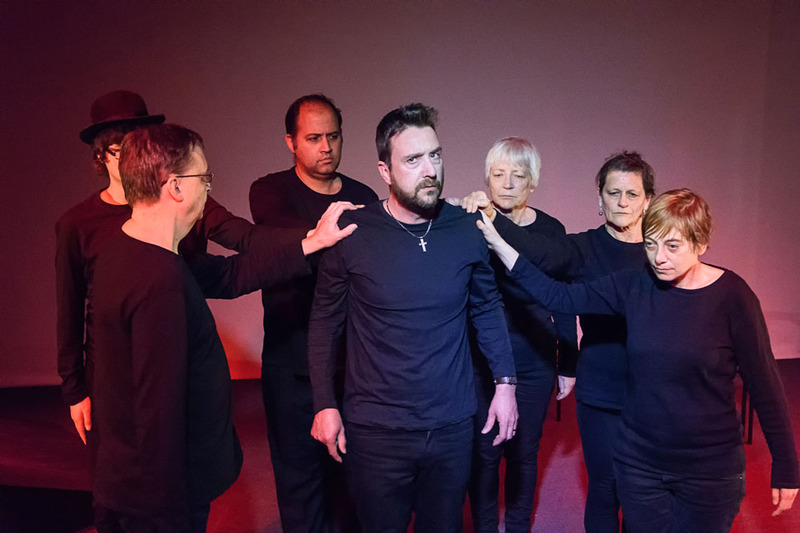 All in black, the characters act as chorus and are bathed in David Cowley's exciting lighting design which, added to the simple set, white background and restrained but effective use of music (beginning with the Faithless tune 'Insomnia') adds great intensity and atmosphere. 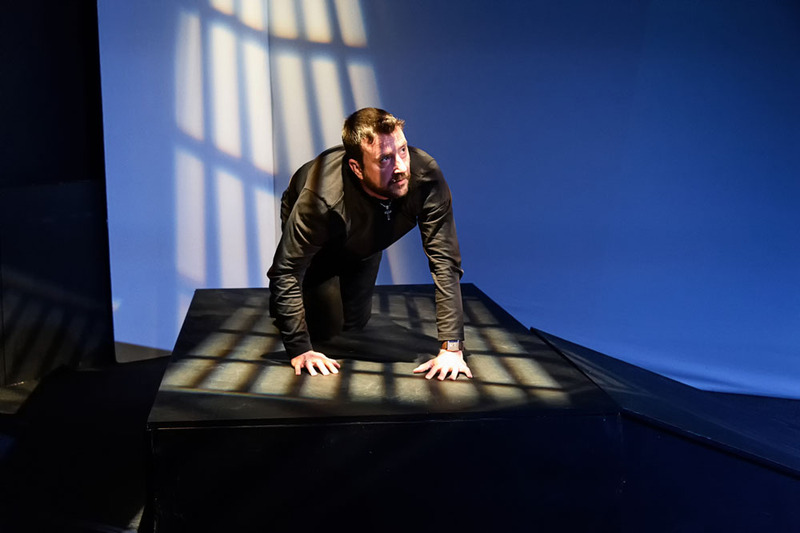 As the unfortunate Gregor Samsa, Jonathan Barney-Marmont creates the necessary illusion with simple body movements and his director's clever sense of space, retreating away from his horrified family, sometimes rearing up in anger or pain. Jo Iacovou portrays Gregor's sister with great sympathy, she being the one lumbered with most of the caring duties. Sue Dashper plays Mrs Samsa with equal wit and insight, while Paul Green's playing of bewildered and threatened Mr Samsa is more down to earth, and Rob Osbourne's comically heartless Chief Clerk seems reminiscent of a Peter Cook character. Gregor Samsa wakes in his bed to discover that he has transformed into a giant bug. Wondering what has happened, he looks around his small room, where everything appears normal. He tries to roll over and go back to sleep in order to forget about what has happened, but because of the shape of his back, he can only rock from side to side. As time marches on, a clerk from his office comes to the house to find out why he has not shown up for work, and his family are increasingly repulsed by his new form and his failure to fulfil his role as breadwinner. 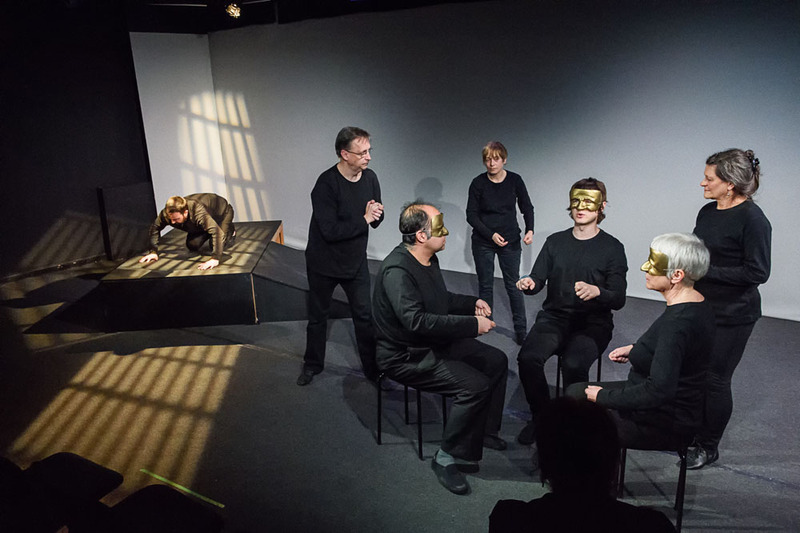 Join Maskers for a story of physical transformation that tells of a deeper metamorphosis within Gregor's family and his own mind. 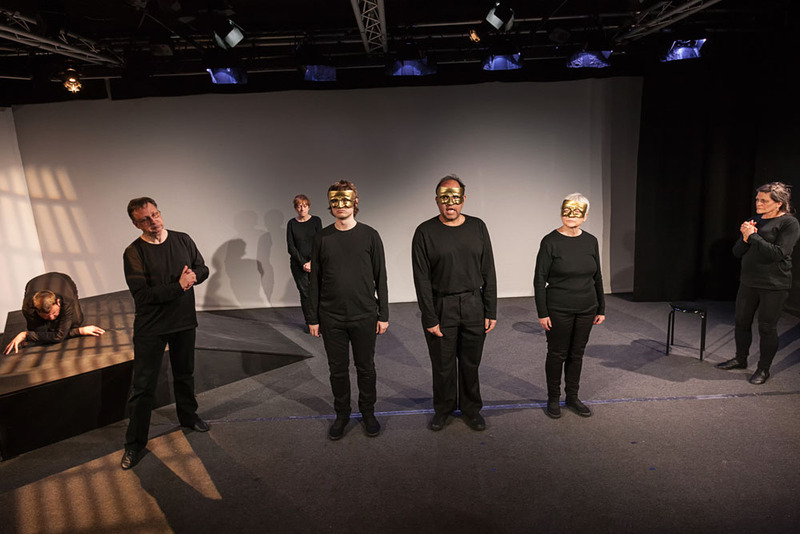 Using physical theatre, music and masks, Maskers push the boundaries of theatrical experience to tell this compelling story, of dehumanisation and alienation; the absurdity of life and the limits of sympathy. This thought-provoking performance will have the audience leaving challenged and exploring their own divide between body and mind. Gail has been acting and directing for more years than it's good to remember! Last year Gail was seen in the BBC 1 drama, Cuffs. She will also be appearing in Arena Theatre Company's touring production of A Midsummer Night's Dream in April. For Maskers, Gail was last seen as Mrs Hawkins in Treasure Island. This is her first outing directing a play for Maskers. Gregor Samsa played by Jonathan Barney-Marmont. This is Jonathan's third time performing with Maskers after being a member of RAODS for a few years. His first show with Maskers was Betrayal by Harold Pinter in the Studio Theatre. After that he performed at The Nuffield in Wuthering Heights. Used to many different performance spaces, he has also appeared at The Minack Theatre in Cornwall with a cast of only four. Metamorphosis will be Jonathan's first Franz Kafka play and he has relished every second of this rare piece of theatre. Greta Samsa played by Jo Iacovou. Joanna has been a member of Maskers since 2003. She has had varying roles over the years, her favourites being Ruby Birtle in J.B. Priestley's When we are Married and the title role in Willy Russell's Educating Rita. In 2014 she had a very successful directorial début with Thornton Wilder's Our Town which won two Curtain Call awards. She is keen to direct again but, for now, she's back to beetling around onstage and enjoying the challenges of physical theatre which is another new experience for her. Paul has been acting and Directing for over 40 years, and has been a Masker for three. He directed Wuthering Heights at The Nuffield Theatre and played Akela in The Jungle Book last year. Paul has never forgotten meeting Steven Berkoff in the bar after the last London revival of Metamorphosis. He loves all kinds of physical theatre and is delighted to be playing Mr. Samsa, as the last time he saw this play the part was played by Steven Berkoff himself! Sue has been a member of Maskers for several years, appearing a number of productions for the company. 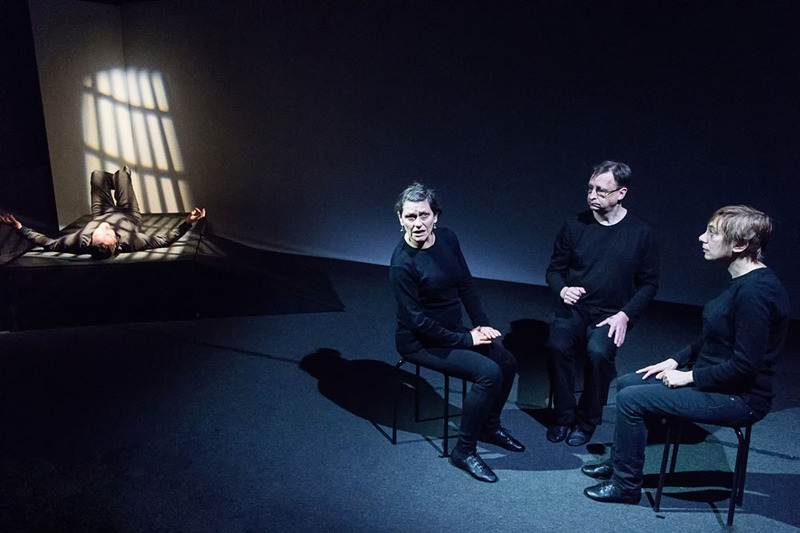 In her most recent Studio theatre appearance, she enjoyed exploring her dark side playing a Machiavellian manager in Contractions by Mike Bartlett. She played the part of Bridget in Amy Rosenthal's Sitting Pretty at the Nuffield Theatre. Most recently for Maskers she played three different species - wolf, monkey, and human - in our outdoor production of The Jungle Book last summer. Robert has been a Masker for four years and has been actively involved in many productions both on- and offstage. 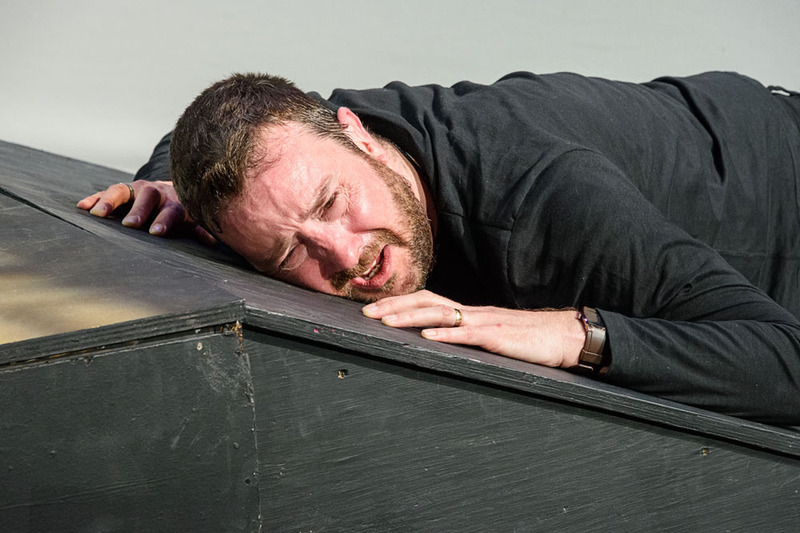 Metamorphosis is his seventh production in an acting role. 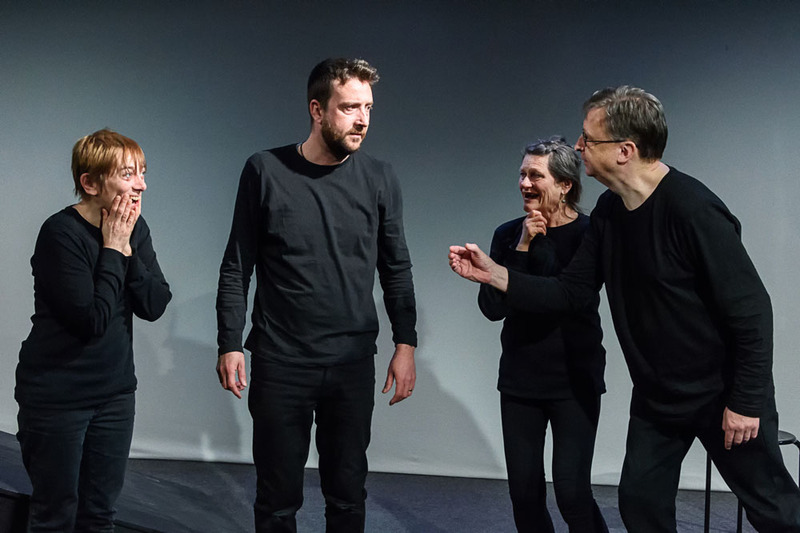 Tackling Kafka's thought-provoking and unsettling tale will be a clear departure from Robert's previous roles as a maths geek, an introverted biker, a feral Yorkshireman and a vicar, but he relishes the challenge and the possibilities provided by the play's dark subject matter and physicality. Jill has been a Masker for less than two years and has enjoyed the range of opportunities and challenges in that time. Her roles have included a slightly dotty house-keeper in Christmas is A-Comin', a doomed flunkey in the touring production of Richard II, and Messua, Mowgli's surrogate mother, in The Jungle Book. This exciting production offers the new challenges of a very physical and stylised show. This is Kieren's first appearance with Maskers. He is enjoying the physical theatre and being part of a team.